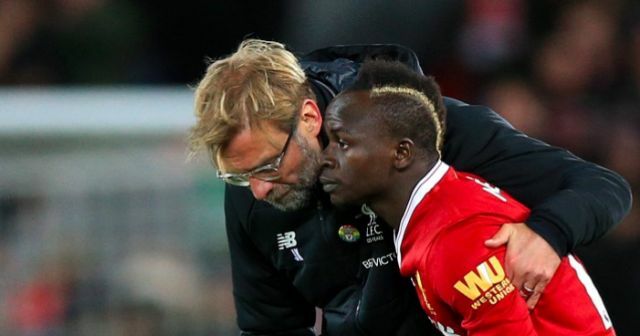 Sadio Mane has explained what he and Jurgen Klopp were ‘talking’ about following Liverpool’s 1-1 draw with Chelsea on Saturday evening. Klopp had oddly decided to rest the Senegalese for Antonio Conte’s side visit to Anfield, and it almost paid off, with Willian scoring a fluke equaliser late on – before Mane came on in an attempt to nick a win. He didn’t have time to affect the game though, with the teams fairly sharing the points. According to Mane, his anger at full-time was because Klopp was barking positional instructions at him, when the boss could have allowed him to get in the middle and instead pulled goalscorer Mo Salah to the wing. “He [Klopp] asked me to play on the right side and one time I tried to ask for the ball in the number nine position,” he told Sky Sports. “Mo [Salah] was on my side and the coach was shouting ‘Sadio come onto the right side’. “After the game I told the coach it was easier if you told Mo to come in because he was close to you. Sadio Mane and Mo Salah have been fantastic in tandem this season. We can understand Mane’s frustration, to be honest. He’s a jaw-dropping player, so to be asked to play ‘second-fiddle’ having been benched in the first-place must have been quite annoying. When they start together though, Mane and Salah have a terrific on-field relationship, so we’re not worried by this at all. We’re sure the duo will play away to Stoke tomorrow evening, with Mane nice and rested and Salah simply undroppable having bagged 15 goals this term.